Can you even put Optane into that Oracle Biplane? Have you ever pulled into a gas station and noticed that shiny pump around the side… The one with the racing fuel sign? Can I even put that racing fuel into my car? Will it make my car go faster? Database experts know how painful it is to have a cache miss. This is why most Oracle systems are built using as much DRAM as possible. More data in the fastest tier means less time for the CPU to sit, waiting for the IO, and more time for the CPU to, well, compute. Any transaction which needs to go out to storage will make the CPU wait. A storage data access moves the access latency from the low 100s of nanoseconds into to the 10s or even 100s of milliseconds for an HDD, anywhere between 10,000 and 100,000 times slower! That’s like comparing an F/A 18 to a garden snail! In many environments, including the Oracle HW designs, people are adding in SSDs to augment the memory and boost the speed of the spinning rust (or HDD, aka the snail). Oracle makes it easy for you with the Smart Flash Cache feature which allows you to extend your buffer pool many times over with NVMe based SSD devices. NVMe is the perfect match for how Oracle extends the buffer pool because of its extremely low latency profile. Moving as much data as possible into this flash tier with NAND SSDs improves scalability for larger data sets, and improves cache miss performance. NAND SSDs move the access into the low 100s of microseconds domain. This is only ~1000 times slower than memory, so that super-fast NAND is like the fastest Tiger Beetle. Zoom! Not quite. Still slow. What if you could move the IO wait below 10 microseconds? The Optane SSD demo at OOW showed a read latency of 9 microseconds! Awesome! This is still quite a bit slower than a data access from main system memory, but now we are talking a factor closer to 60 times slower. Now we’re moving at the pace of a Roadrunner‌. That's pretty fast compared to the snail (HDD). I would still prefer to be sitting in the cockpit of an F/A-18, than running at the pace of the fastest bird, but it beats the pants off the Snail or even the Tiger Beetle! The inside scoop, though, is that the NVMe interface for the Optane SSD demo is by far the largest part of that 9 microsecond latency. @bkrunner also showed off a mechanical sample of the 3D Xpoint memory inside a DIMM form factor. Just imagine what could happen if the latency drops a bunch more. 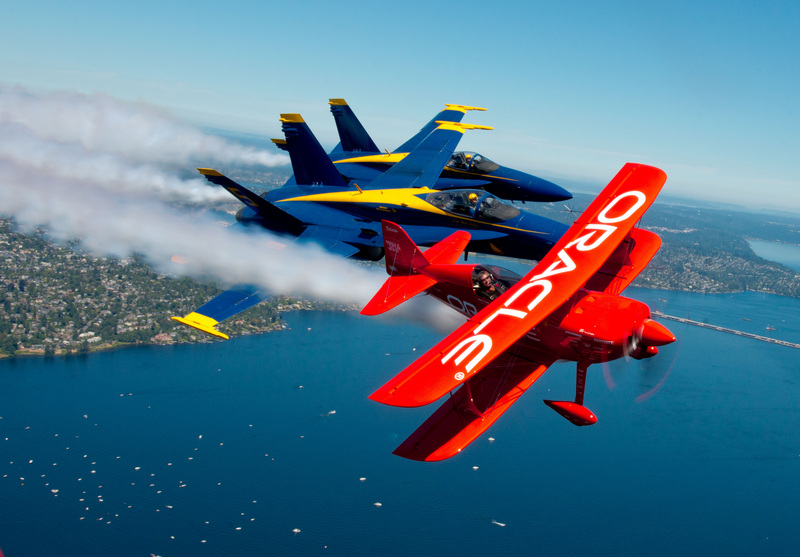 We may not be sitting in the cockpit of an F/A-18, but, we may still get to hang with Sean Tucker in that Team Oracle Biplane‌‌… Or, in this case, a better analogy would be a bright red Oracle Airbus A380-800 where we may not win the race, but we do get to bring 799 of our closest friends along for the wild ride! Do you think Sean Tucker could do some cool tricks while flying an Airbus? 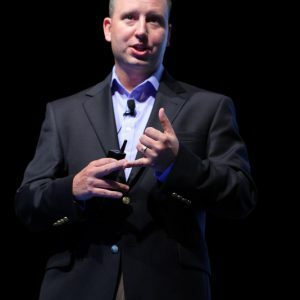 I’ll bet he can… Buckle up Sean, because Optane is coming soon!